Taking of Evidence in International Arbitration: IBA Rules v. Prague Rules? There are few binding rules on the taking of evidence in international arbitration. For more certainty on how to deal with evidentiary issues, parties have, in countless arbitrations over the last decades, been referring to, and arbitrators have taken guidance from, the “IBA Rules on the Taking of Evidence in International Arbitration”, a soft-law instrument deployed by the International Bar Association. 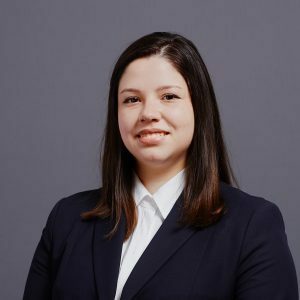 Luiza Lins Silva e Dutra explains whether the emergence of a new, alternative set of evidentiary rules for international arbitrations, the “Prague Rules” poses a serious challenge to the well-established IBA Rules. One of the key features of arbitration is that, unlike litigation, it may, to a large extent, be shaped to the will and needs of the parties. This comparatively high degree of procedural flexibility is due to the fact that many procedural issues are, in pertinent legislation and institutional rules, left to the parties’ choice and/or the reasonable discretion of arbitrators. While this lack of thorough regulation allows for customizable proceedings, it also creates gaps that need to be filled. For the areas not covered by legislation or institutional rules, the parties may elect, and arbitrators as well as arbitral institutions may take guidance from, soft-law instruments. A prominent example of a widely accepted soft-law instrument in international arbitration are the IBA Rules on the Taking of Evidence in International Arbitration. Evidence in arbitration is an area generally left uncovered by legislation and institutional rules. It is not uncommon for parties to disagree on evidentiary issues, such as whether or not there shall be document production, or how witness evidence is to be taken. The lack of general regulation regarding the taking of evidence is aggravated by the fact that parties may come from different jurisdictions, where different legal traditions may prevail, in particular as far as evidentiary issues are concerned. By way of illustration, document production (or discovery) is one of the main tools for the trial process in common law jurisdictions. Extensive document production is considered to afford greater assistance to parties in ascertaining the truth, making available facts that would otherwise not be provable. Document production allows parties to better appraise the real value of their claims, and to expedite the preparation of such claims. Document production is also considered to help judges and arbitrators in making the most informed decisions possible. However, even among common law jurisdictions, degrees of what is acceptable in discovery may vary: for instance, document production under English law is considered to operate in a much more restrictive manner than American discovery. legislation and/or gap-filling in the interpretation of contracts may – more often than in common law jurisdictions – lead to substantive claims to information, document production, or even an audit (e.g., in distribution law). In 1999, the IBA adopted the IBA Rules on Taking of Evidence in International Arbitration (hereon, the “IBA Rules”). These rules have been revised in 2010. The IBA Rules are meant to bridge the distance between common law and civil law, by providing for a hybrid set of rules that practitioners with any legal background may use. In the US evidentiary tradition each party finds its own experts to elaborate on technical issues. In the continental approach, judges and arbitrators appoint experts and conduct their own line of inquiry. The IBA Rules allows for both methods to be used in international arbitration, even simultaneously if the parties wish so. Since their adoption, the IBA Rules have been used in countless international arbitrations. Although generally considered to approximate common law and civil law traditions, the IBA Rules are, by many civil lawyers, regarded to still walk much closer to common law procedures. The criticism mainly revolves around the fact that the more adversarial approach of common law, adopted by the IBA Rules, was not reputed to be efficient regarding document production, fact and expert witnesses. Most likely considering the possibilities created by the IBA Rules, international arbitral practice has created hybrid solutions for appointing experts such as the Sachs Protocol. (A Sachs protocol is a system for appointing experts according to which each party proposes a short list of potential experts; the arbitrators then choose one expert from each list to form a team who advises the tribunal). A group of reputable civil law practitioners, almost exclusively from Central and Eastern Europe has decided to put together an alternative set of rules for the taking of evidence in arbitration, one that would be more in line with the civil-law way of taking of evidence. These rules were dubbed the Rules on the Efficient Conduct of Proceedings in International Arbitration. They were officially launched on 14 December 2018, in Prague. Hence, the working group responsible for their drafting has decided to call them “Prague Rules”. The working group for the Prague Rules proposed a more inquisitorial approach, close to civil law traditions, by giving a more active role to the arbitral tribunal. For this reason, the provisions of the Prague Rules are not limited to taking of evidence like the IBA Rules, but go further. They cover issues such as the early management of the proceedings, Iura Novit Curia, assistance from arbitrators in reaching settlement, allocation of costs, and time for issuance of the award. With efficiency in mind, Article 2.4 of the Prague Rules gives arbitrators the power to limit the number and length of submissions made by the Parties. There is no similar provision in the IBA Rules. While many argue that limiting submissions may remove the chance of a party to properly plead their case, it has shown to be a very efficient tool where the parties or their counsel have lost sense of what is relevant or not to the dispute. A problem within the Prague Rules however lies in allowing limitation of the number and length of submissions too early in the proceedings. While some cases are clear-cut in regard to facts and legal arguments, most are not. Despite the wording of Article 2.4 stating that an arbitrator shall give the parties reasonable opportunity to present their case, he or she cannot know from the outset of the proceedings all the facts and arguments that may be brought forward, what is relevant or not, and how many pages or words a party will need to make its point. Article 2.4 may harm the parties’ right to be heard by encouraging arbitrators to limit submissions too early. Rather, limits to submissions should ideally be employed when the parties have already presented all (or most of) their arguments. When it comes to document production, Article 4 of the Prague Rules consider-ably limits parties’ rights to make requests in comparison with the IBA Rules. While the latter allow for requests for production of “a narrow and specific category of documents that are reasonably believed to exist”, the Prague Rules only allow for requests to production of specific documents. The goal of the Prague Rules to provide for solutions that come closer to civil law traditions seems to be reached here. By allowing only for specific documents to be requested, the Prague Rules creates a similar result to the shift of the burden of proof as adopted in civil law jurisdictions. Whether that will really contribute to a fair and just resolution of disputes is another issue. Another aspect in which the Prague Rules differs from the IBA rules regards the examination of fact witnesses. Article 5.3 of the Prague Rules establishes that arbitrators may, after having learned of the facts the witness will testify about, or after reading the witness’s written witness statement, decide not to call that witness for examination. The prerequisite for this is, however, that the arbitrator(s) consider the testimony to be irrelevant or unnecessary to the resolution of the dispute. This provision contributes to efficiency in the proceedings, by making it possible to shorten the duration of hearings, or not have a hearing at all unless there are material witnesses to examine. Of course, in order to avoid that the award may be challenged or declared unenforceable, the reasoning of the award will have to explain why the witness evidence was considered irrelevant or ineffectual. An innovative aspect of the Prague Rules can be found in its Article 7.2. This rule establishes that after inviting the parties to present their views on the matter, arbitrators may apply legal provisions not pleaded and rely on legal authorities not submitted by the parties. Article 7.2 comes a lot closer to civil law traditions by explicitly upholding the principle of iura novit curia. Article 7.2 allows arbitrators to complement the legal arguments presented by the parties (in a way that will allow arbitrators to make the decision in the manner considered the most appropriate) – while still giving the parties the chance to present their views on the application of that provision which the arbitrator points to. This will avoid surprises and will reduce the prospects of any set-aside proceedings. There are no similar provisions in the IBA Rules. Finally, Article 9 of the Prague Rules obliges arbitrators to assist the parties in reaching a settlement of the dispute, at any stage of the proceedings. In many civil law jurisdictions, it is commonly accepted – at least in domestic arbitration – that arbitrators, just as state court judges, may and should foster settlements. This is not the view in the common law world, however, where it is often considered improper for courts or arbitral tribunals to suggest to the parties avenues allowing them to settle their case. There is therefore no comparable provision in the IBA Rules; this said, many institutional rules now contain provisions on settlements. As an example, Appendix IV lit. (i) of the ICC Rules of Arbitration (2017) cites as a “case management technique” that arbitrators should inform the parties that they are free to settle all or part of the dispute either by negotiation or through any form of amicable dispute resolution methods such as, for example, mediation under the ICC Mediation Rules. Further, the provision goes on to say that where agreed between the parties and the arbitral tribunal, the arbitral tribunal may take steps to facilitate settlement of the dispute, provided that every effort is made to ensure that any subsequent award is enforceable at law. The Prague Rules go further, by prescribing a settlement-oriented approach, even when not all of the parties are in agreement with the arbitrator(s) adopting such a role. This approach seems difficult to reconcile with the principle of party autonomy. The Prague Rules may indeed contribute to efficiency in international arbitration, by providing solutions which effectively reduce costs and save time. Some of the provisions of these Rules, however, require caution in their application, as they may actually limit the parties’ right to be heard, or even party autonomy. While the Prague Rules certainly reach their ultimate goal of providing a set of soft law rules closer to civil law traditions, it is hard to imagine that parties from common law or mixed jurisdictions will easily agree to these rules. Therefore, the Prague Rules are unlikely to pose a serious challenge to the IBA Rules on the Taking of Evidence in International Arbitration.